The Marlborough College Trust was established 60 years ago ‘for the benefit of Marlborough College’ as the recipient of funds raised in an appeal for voluntary subscriptions and donations for charitable purposes. In June 2015 the name of the trust was changed to the Marlborough College Foundation. The Foundation is a registered charity whose role is to provide long term financial support for the College’s continuing development, but with a particular emphasis on the provision of bursarial support. The Foundation is governed by a board of Trustees who are appointed by the College Council and who are responsible for the financial management and administration of the Foundation’s assets. The Trustees have appointed Rathbone Investment Management as the Investment Manager for the Foundation. Steven Bishop graduated from University College, Oxford in 1977. He has spent his entire career in financial services. On graduation he joined the stockbrokers de Zoete & Bevan (later BZW), becoming a partner in 1985. He remained with BZW until 1997 when he was a co-founder of Altium Securities. From 2005 to 2016 he was a Managing Member and Chief Operating Officer of Taube Hodson Stonex Partners LLP and he is currently a partner at Columbus Point LLP. 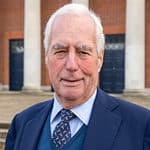 Steven was previously a Governor of Heathfield School, Ascot and Ardingly College and a Trustee of the University College Old Members Trust. Steven is an OM with three children who have attended the College. He was President of the Marlburian Club 2011-13, and is now Chairman of the Foundation. He joined the Council in 2014 and is a member of the Nominations Committee and the Bursary Committee. Richard Fleck (B3 1962-67) qualified as solicitor with Herbert Smith in 1973. He was a partner from 1980 until he retired to become a consultant in 2009. In addition he was a director of the Financial Reporting Council, a non-executive director of the National Audit Office and Chairman of the Auditing Practices Board. 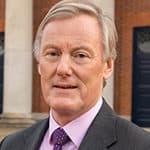 He was a member of Council of Marlborough College from 1997 to 2010 and was the first Chairman of the Marlborough College Foundation. He is a Trustee of the Marlburian Club Charitable Funds. Having been actively involved in its establishment, he is a member of the Council of Marlborough College Malaysia. He has been married to Mary since 1983 and has a daughter and son, both of whom went to Marlborough College. He lives in Wiltshire. John Manser was Chairman of SAB Miller, having joined the Board in 2001. He was Chairman of Intermediate Capital Group plc and Shaftesbury PLC and Deputy Chairman of Colliers CRE plc. Previously Chairman of Hiscox Investment Management Ltd, London, Asia Chinese Private Equity Fund Limited and Robert Fleming Holdings Limited, a former member of the President’s Committee of the British Banking Association, a Director of the Securities and Investments Board between 1986 and 1993 and is a past Chairman of the London Investment Banking Association. 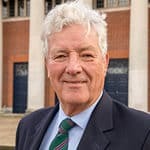 Tim Martin-Jenkins was a director of diversified shipping group Ellerman Lines, before moving to Hong Kong in 1982 to work for Dr Robin Loh, a private international entrepreneur with wide interests including property, finance, oilfield and heavy engineering industries. He partnered Robin in a new town development in Queensland, Australia and leasing modular buildings in the southern USA. He is now involved with a private investment trust. For several years he was a governor of the St Bede’s Schools Trust and is currently a member of The Marlburian Club Committee. He is a current parent. 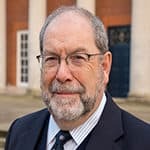 Tim has an MA in Economics and History from Cambridge University (1969) and an MBA from Harvard Business School (1973). 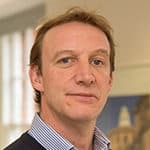 After reading Classical Studies at the University of Newcastle-Upon-Tyne, Richard began his working life as a rugby journalist before co-founding one of UK’s first sports internet companies that was acquired by 365 Plc in March 2000. He subsequently became director of 365’s Global Internet Business before leading a management buy-out to become CEO of Rivals Digital Media Ltd, a digital publishing company with offices in London and Cape Town. Richard moved with his family to South Africa in 2003 and in 2004 Rivals was acquired by UK Betting Plc. He stayed in Cape Town and in 2004 co-founded IDM Holdings (Pty), an integrated financial technology company that now employs over 350 people. Despite returning to the UK in 2010, Richard remained Chairman of IDM until June 2017. 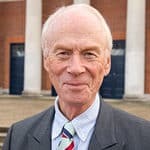 He now coaches hockey and cricket at the College and is a tutor in Ivy House where his wife Charlotte is housemistress. He is also a co-founder and non-executive director of Matchdeck Ltd, a technology company specialising in global corporate data intelligence using machine learning and AI. Richard and Charlie have four children, three of which are currently at the College. Chris read Economics at the University of Exeter and qualified as a Chartered Accountant with Deloitte Haskins & Sells in 1978. Following an early career in Investment Banking with Barclays Merchant Bank and Barclays de Zoete Wedd (“BZW”), in 1987 Chris was a founding director of Rutland Trust plc, a quoted company investing in under-performing businesses, and managing partner of Rutland Partners LLP, which managed Private Equity funds. Chris then chaired the European operations of Challenger, the Australian life company, and led Challenger’s investments in infrastructure and fund management. He now holds non-executive directorships. Chris is married to Shelley and has two sons and a daughter. His second son and daughter attended Marlborough College. William had a 40 year career as a solicitor working in the City of London, Bristol, Wiltshire and finally in Westminster at Thrings LLP as Head of Private Client services, retiring in February 2013. He has held a number of Public Service and voluntary sector appointments. He was closely involved with Enterprise Agencies in both Bristol and Wiltshire, has served as a board member of the Bath and Wiltshire Health Authority and is closely involved with Youth Action Wiltshire. He has been deputy Lieutenant of Wiltshire since 2003 and held the office of High Sheriff in the year 2013/14. William holds a number of charitable or voluntary appointments across the county and he is keen to encourage volunteering to help young people who face barriers to success in achieving their potential. He also served as Clerk to Marlborough College’s Council.